Wow! What a year that was! For our business, for the Portland community and for the world at large. The true definition of a â€œmixed bagâ€�, 2017 included some rather significant steps forward on a business level and yet the countless steps backwards as a nation have us undoubtedly reeling a bit at the end of it. In spite of all the angst and disillusionment this year brought with it we want to go out on a high note celebrating all that we have to be grateful for and the inspiration that awaits us in the year ahead. 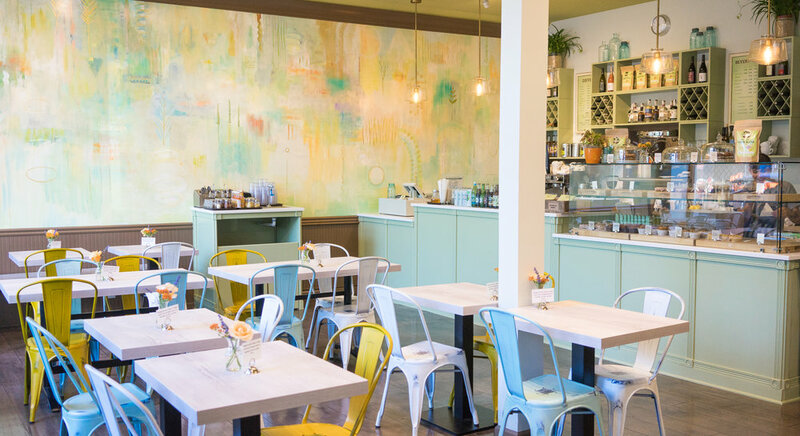 As many of you know Back to Eden Bakery experienced its most expansive year yet as we seized the opportunity to expand our savory menu into the new cafe space next door to our original Alberta St. location. It was a whirlwind endeavor and by mid-July we were up and running just in time to welcome all of Portlandâ€™s summer visitors of we whom saw many. Being able to serve a truly nourishing meal in addition to all of our pastries and desserts was a real game changer for our company as well as the community we serve. 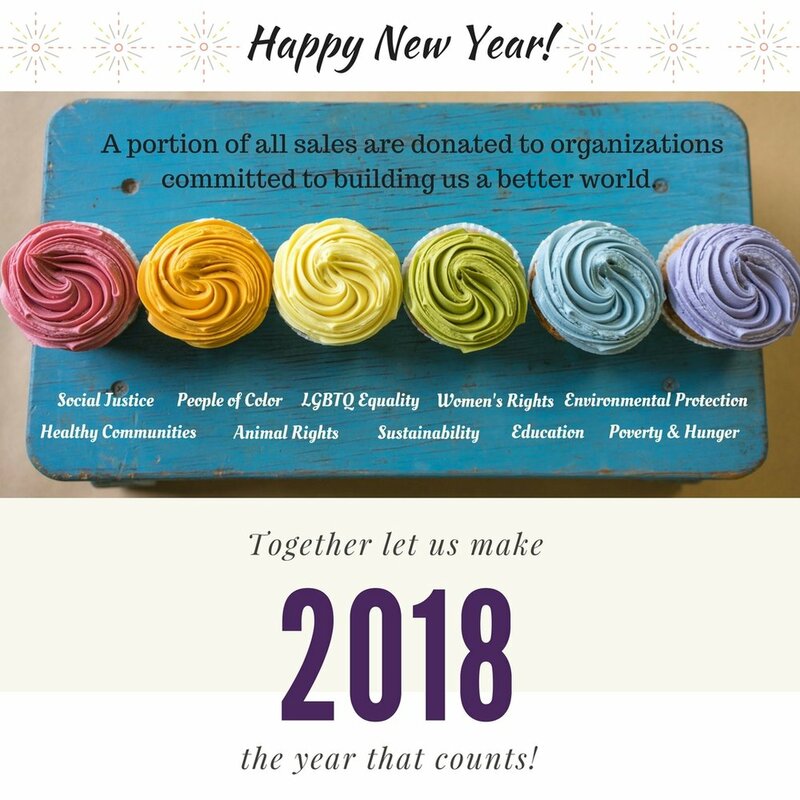 Since then we have been focused on fine-tuning and building up the momentum we need to make 2018 our most impactful and delicious year yet! With daily brunch, lunch and a vegan gluten-free pizza menu that canâ€™t be found anywhere else we hope these new offerings will help us fuel you better throughout the entirety of your day. 2017 was also an extremely humbling year for Back to Eden Bakery as we received the distinguished honor of being voted Portlandâ€™s â€œBest Bakeryâ€� as well as â€œBest Gluten-Free Restaurantâ€� in the Willamette Weekâ€™s Readerâ€™s Poll. To be up against such stiff competition and then receive this recognition felt like such a milestone in a year that marks 10 years of doing business in the Portland community. 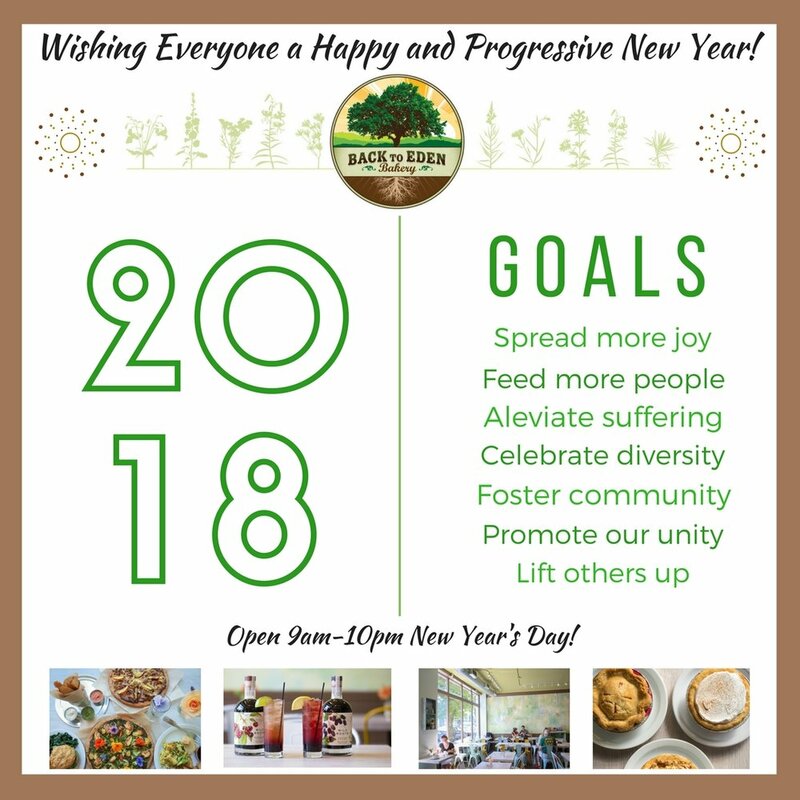 As for the year ahead we are so excited for the fresh start and for all the opportunities that exist to: fight for truth, equality and social justice; promote a vegan lifestyle; and give back to this community we feel so blessed to be a part of. With our larger space we hope to host more special events and provide a safe space to gather, organize and inspire each other as we face the tough times that inevitably lay ahead. We will continue to use all of our platforms and influence to oppose fascism/racism/sexism/speciesism and advocate for the new paradigm that is calling us all. We hope that you will continue to join us in spreading more peace, love and joy in 2018! Wishing you all your most powerful year yet!